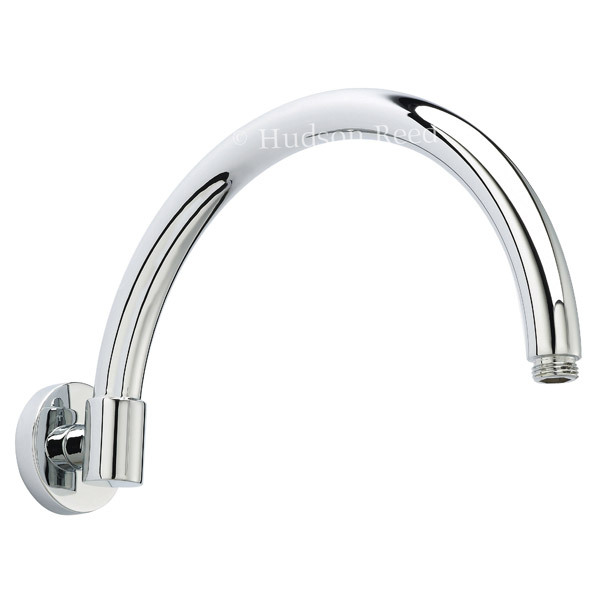 This curved swan neck style shower arm will add a touch of elegance to any bathroom. It's expertly finished in chrome by manufacturer Hudson Reed and constructed from the highest grade of brass. The tubular piping has some great finishing touches at the wall side with a round wall mounting plate and oversized pipe detail. Superb quality that will last a lifetime.